Hi, Alex, do I have the wrong co-hosts for Dec. 5? On the IWSG site it states: My awesome co-hosts for the December 5 posting of the IWSG are J.H. Moncrieff, Tonja Drecker , Patsy Collins, and Chrys Fey! Wondering if I need to make a change. Congratulations on accomplishing such a fabulous word count for Nov. Totally Awesome!! Keep it up! Welcome back. I am blown away at your word count. But shouldn't have been. I didn't make myself clear. I shouldn't have been blown away because you are the king of high achievers. You've been busy Alex. Thanks for the peek into your writing space. I guess it's not what's in there that's important, it's what comes out! 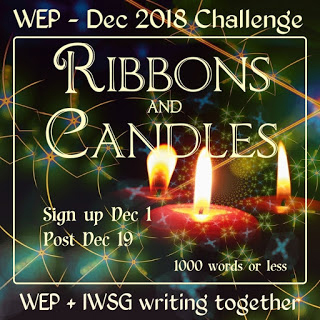 Hoping for early entries for WEP. A good sign up already! However the Aquaman and Mortal Engines are look promising. For all these years you've spoken about Hot Tamales, I didn't realize they were candy. Hahahahahaa. Hey, I know Kim! Just saw her in October, and I had no idea she was part of IWSG. Small world. I hadn't heard of Overlord until my husband went to see it on his movie night. I look forward to renting it. Definitely looking forward to Aquaman! No thanks on Holmes, though. Looks like a waste of my time. Welcome back Alex, It's good to see what plans there are for next year. Still need to see Overlord! I have a 200 year old musket ball, glass goat, model Scotty dog and a flint under my monitor – they're symbolic of my past and changes in my life. Great that you got a good chunk in on the next one. Will see Ralph at some point here. Yeah, Elf and Old School are the only two Ferrell films I can stand. His manchild routine gets old very fast. So sorry to hear about Penny. Definitely a star of the blogging world! 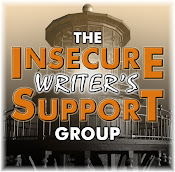 Sounds like you have everything in your writing space you need. I hadn't heard of Haken but when it comes to British prog, I've blogged about the band Mansun before - I'm not a prog fan per se but their album Six has massive elements of that to it. I just saw their lead singer (Paul Draper) in concert the other week too, as he recently made a comeback after years out of the limelight. His solo album nods towards prog, too. Recommended! Cathrina, thanks for catching that - the site was right. Elephant's Child, thanks. I've won NaNo before but last month that wasn't the goal. Zoltan, I know! They should've saved Solo for this month. Lynda, not just for Mexican dishes anymore! Shannon, that's cool you met her! You'll get a kick out of Overlord. Erika, Penny was a Superstar. Nick, very cool! 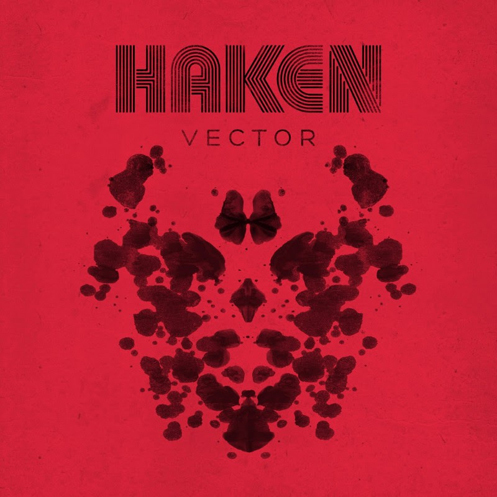 You need to check out Haken. Penny looks like she was a sweetheart. Aquaman was one of my favorite Superfriends. :) He wasn't featured nearly enough in the cartoon on Saturday mornings. Congratulations, Alex, on 23,000 words! That is a great start to a book. I see movies in my December future!!! Losing a pet is so hard. They are such a part of our lives. My sister used to love Hot Tamales! Congratulations on 23K. Great start! I remember a time when you paused in your writing. Glad that didn't hold! Congrats on 23k words. Super! I just saw a trailer for Overlord. Looks interesting. Have a great month. I can't wait to see Wreck-it-Ralph 2. I hope Ferrel doesn't mess up Sherlock Holmes. I love Cumberbatch. Hope you have a great Christmas! Haha The City the Ate Paris. We're looking forward to Aquaman and I'm looking forward to Mary Poppins. welcome back and congrats on all the creative words written. Wow. Elizabeth, now he gets his own movie! Jennifer, don't hold your breath. Madeline, I watched that cartoon as well. Congrats on the story progress - that's fantastic. I thought sure Mini Alex would be hanging around your space LOL. I was so heartbroken when I heard about Penny. Such a special girl and she will be missed for sure. So very sad we lost Penny. Jason Momoa is Aquaman. That's all I need to know. Congrats on getting so much writing done in November. Sounds like you have a cool writing space. My jar of candy would always be empty though. My husband loved hot tamales. You forgot a fun movie in your movie previews--Mary Poppins Returns. Ha! Ha! It's soooo sweet that you mentioned Penny. (You're a very nice ninja.) I know Gary and his son miss her terribly. Both the Spiderman and the Aquaman movies sound like they'll be fun to watch. Will Ferrell doesn't usually tickle my funny bone, either. Congrats on all of those words written! I'm not a big fan of Will Ferrel movies either, but maybe this will be the one to change my mind. I'm so sorry to hear about Penny. Losing a dear friend and companion is so sad. Hi Alex, though you have spoken about Hot Tamales so much, I had no idea that it was some kind of candy, I thought that it was some kind of chips. My heart goes out to Gary and his son, Penny was the inspiration for my Middle Grade book Scavage (now titled Bruno and Ivy). The moment I saw Penny's photo on Gary's site, the idea for the book dropped into my head. Name 5 things in my space. Hmmm... Paper notebook (where I make my list of things to do), box of Kleenex, water bottle, The Synonym Finder (book), and the Romance Readers Report (magazine from RWA). I'm not looking forward to any of the movies you listed, but plan on seeing Mary Poppins this Christmas. I also want to see the PG-13 Dead Pool movie. Thanks for the great reviews of those movies and the bands, and the snark for the upcoming movies ... ooh, the snark. :) Loved it. I'm really sorry to hear about Penny - she will be missed by many. Condolences to Penny's family and fans. It is so hard to say goodbye to a beloved pet. So sad to hear about the doggie. Losing a pet is always hard, especially one that's been around for so long. I'd choose Hot Tamales if I had the guts to keep candy by my desk. So glad you gave space to Penny. I know Gary will appreciate it. I can't wait for Aquaman! In September, I went to an RWA conference in Seattle, and the hottest raffle prize was a life-size cutout of Jason Momoa in this role. Congrats on your story progress--you must be a swift writer. 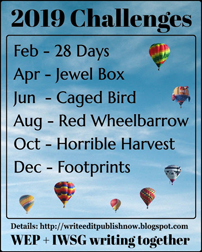 Thanks for sharing all you do with all of us, and happy writing in December! Congrats on the 23K words! That is AWESOME! Thanks for the review of Ralph... plan to see it this week. It does look like a fun film. Today I am reseeing Fantastic Beasts Crimes... in 3D this time. Hopefully I will enjoy it more. I usually like to see films like this twice before I make my final decision to buy on DVD. I must look at questions before I post... lol. I liked this month's question... My writing space in Chicago has signed HP art by MinaLima... LOVE their Graphics! A HUGE Iron bookshelf filled with everything from my fav books to CD'S collectibles etc. I write on my daybed ... super comfy and of course Hamlet, my best pal, laying at my feet. In Florida, I hang on the couch and write. Hamlet is usually at me feet. LOL. Have a wonderful HOLIDAY, my friend. Have a Happy and Healthy new year! All the best to you and your wife! Good to know your writing mojo is alive and well. Keep up the good work. Yet again, proof that writers think differently and that husbands of writers are good sports! Ha-happy! You've helped save a marriage today! I'm not overly excited about any of these new films. The Ralph film might be okay since I did like what I saw of the first one. I probably should go back and actually watch all of that one before seeing the new one. 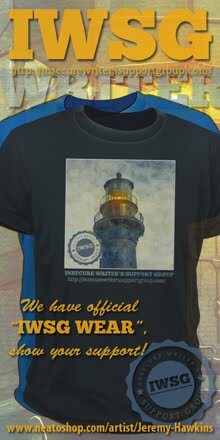 Happy IWSG Day Alex, and Happy Holidays! Ralph Breaks the Internet looks good but I still haven't seen the first one. I guess I'll have to binge them both at some point in the future. The effects for Mortal Engines look really cool. Spider-Verse looks awesome. I'm so into this. Aquaman actually looks good. Maybe DC can do more than just make a good Wonder Woman movie. I'm not interested in another Will Ferrell and John C. Reilly team up, but I am curious about Stan & Ollie. Reilly looks great in the trailer. Rachna, that's cool. Did you tell Gary? He would be so touched. Stacy, be interesting to see how they pull off PG13. Christine, good for you - Turkey Day! Lee, you have good taste. Michael, Hamlet is your constant. So sorry to hear about Penny. Congratulations to Toi! Candy on the side of writing is power food! Do you write on your iPad, Alex? If so, do you use Pages? How does that work in terms of collaborating with other writers/editors? If you like hot tamales, does that mean you love hot sauce too? I was very sad to hear about Penny's passing. I've only found two Ferrell films worthwhile as well—Elf and Stranger Than Fiction. And I'm torn on the Aquaman movie. On one hand, I have been mostly disappointed by the DC movies (Wonder Woman being the lone exception). On the other hand...Jason Momoa. Well done on the writing progress! Too many things to comment on so I will comment on none. Saying goodbye to a beloved pet is difficult. It is one of those things we have to face. I am glad they had eighteen years together. He'll always be a part of them. Also congrats on your achievement on your new book. Kudos on the 23K! What a great way to end the year. Sorry to hear about Penny - sympathies to her family. It's always tough to lose a devoted companion. I am totally intrigued by Overlord. History twisted with horror is right up my alley. Great job on the word count - that's awesome!!! Great job on the 23,000 words man! A change is as good as a break, as you obviously didn't rest on your laurels! Definitely sad news about Penny. Some of Gary's posts about her were among the best I've ever read. An internet superstar for sure. Hi Alex. My 20-year-old daughter and her friends loved "Ralph." I haven't seen either of them, though. In recent years I have devoted December to Christmas movies, the corny ones on Netflix that all have the same plot about a guy who's a workaholic with no time for Christmas until he bumps into (literally) a sweet woman who shows him the light. I think with the stress and busyness that can often come during the holidays, it helps to not have to think much. At least, that's my theory at this point as to why these films are so popular, despite the fact that no one wants to admit they watch them. Have a great week! Lots of exciting stuff going on here! I like the premise of Overlord. The kids were a little ho-hum about Ralph, though seemed to love the animation as much as you did. In a sense, there’s a genius to creating shows that mature as the kids do. Haken isn’t really my style, but you’re right, they do know their music and come off as professionals. I was sorry to read of Superstar Penny’s passing, and sent her humans a warm cyberhug of strength and compassion. Somehow I’m not surprised that Nicolas Cage would be in a Spiderman movie ;-) You’re not too excited about Aquaman, are you? Sounds like you’re rockin’ your next novel right onto the new bestseller list – fantastic! I don't know many people who like Hot Tamales like I do. That's awesome. I usually have candy on my laptop table too. I just bought some of those rootbeer barrels. I love those things too. I'm really looking forward to Aquaman. Toi, Aquaman is already getting rave reviews. Jennifer, I have written on my iPad and in Pages. I usually convert to Word and continue working on my computer though. MJ, it's already getting stellar reviews! Lee, you would dig it then. Heather, you know what you like and that's good. Aww, sorry to hear about Penny. Great word count! Go dude! Or should I say Ninja?! I too, can't wait to see Aquaman, as I too, read him as a youngster. I hadn't heard of some of the other movies, but the Overlord sounds interesting. The things you have on your desk sound a lot more interesting than the things on mine! I don't really go to concerts anymore. They cost so much nowadays, and are so loud. Oh to be young again and not care! It's lovely to see you remember dear Penny this month. I will miss her pawsitive wishes around the blogosphere. She was a true star and thoughts are with Gary and Tristan. Glad to hear you have had an awesome break adding to your wip, Alex. Always happy to co-host. The comments people are leaving on my blog are so unbelievably nice. I love this group! Congrats on your word count--that's awesome. Merry Christmas, Alex! All the best in the New Year. Can't wait to see Aquaman and Mortal Engines. Also the new Fantastic Beasts. Happy IWSG Day. I might try the WEP contest. 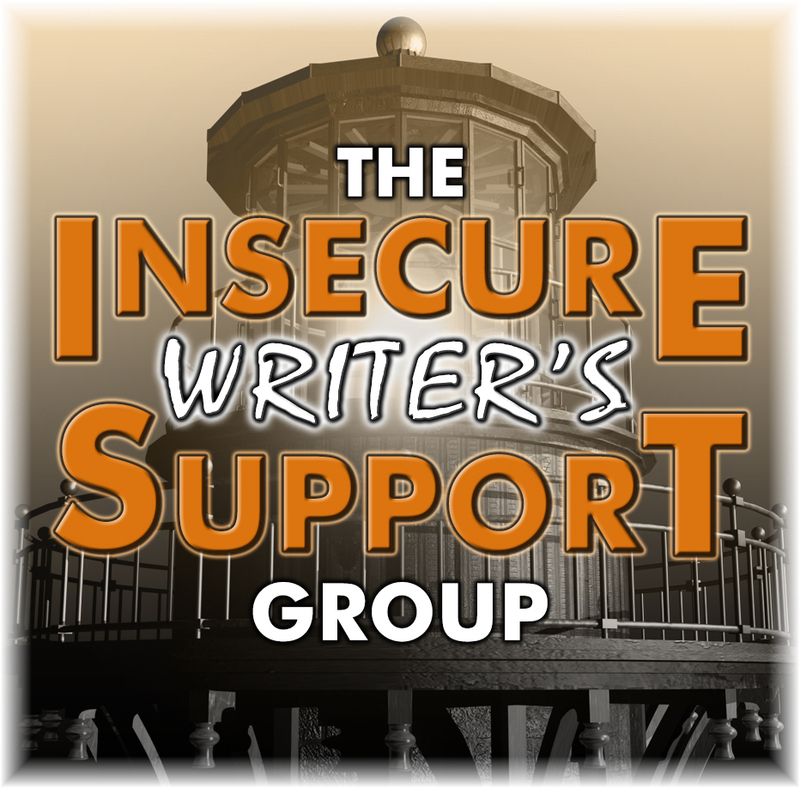 I'll let my writing groups know about it too, and the IWSGPit. I wish I could keep candy near me but it would be eaten too quickly. How awesome that you have 23K down. That's a great start. JH, that is awesome to hear about the nice comments. Carrie-Anne, please do! They can post on their blogs or on Facebook. 1. Hot tamales are my favorite candy. 2. Ralph breaks the Internet sounds pretty great. I'm in the mood for something animated at the moment. Your concert experience sounds great. It's always special to catch an act that we've long admired. I'll have my IWSG post up by tonight. December got the better of me, and it's only the 5th! Congrats on coming back and the word count. I'm sorry for your loss. So heart wrenching. Oh no! I'm so saddened to hear about Penny. Poor Gary. I can feel his pain. We lost one of our dogs last month and I'm still grieving. I expect to hear his tail thumping on the floor when I walk into the bedroom because he loved to sleep under the bed...anyway, ugh, I'm so sad for Gary and his son. You had an awesome time off! I'm so glad. You deserved it and I'm glad you also got a ton of writing done too. I think Ralph will be a definite rental...heck, maybe even a purchase. I'm so sad for Gary. I'm gonna miss his Penny. I am so sorry about your fur-family. I can't imagine losing any of mine, and we've not been together all that long! I'm sure she's perusing the internets and doing her favorite doggie things! Glad to hear that Ralph is good. The trailers made me a little wary. Then again, the trailers for the first movie were so bad that I almost didn't go because of them. Glad I did. Congratulations on the progress for your new story. That's great. It is sad to lose a pet (friend.) Sorry. They're in our memories. Congratulations with a productive November, Alex. Now that I'm house sitting again, having all the facilities and time I need to work on my memoir, I'm still looking for excuses, so I totally respect your determination and focus. 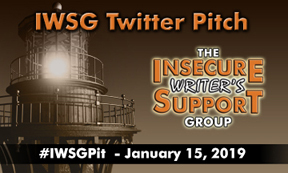 I will definitely participate in the IWSG Pitch Party in January. By then, I hope to be pretty close to the end of my WIP. Haken sounds like an interesting band - you got me curious. My husband and I saw a documentary about Walt Disney on Netflix last night. I have a renewed admiration for animation after that. Wow, that man was a visionary and a genius! Wow, by golly & hot tamales! 23K words count; ! that's a great start. Well done on the word count! I'm just now starting to get back on track with my writing. So heartbroken about Penny. She was such a special girl. I went by Gary's blog and came back here. Thanks for the news, Alex! Wow, they just won't stop making Holmes stuff, huh? I hope fans of the IP enjoy it. The only movie I'd really like to see out of the list is Aquaman. I'm here for superheroes who actually have a good time. Raimey, you are very cool! Elsie, they continue to haunt you for a very long time like that. JM - a two liter? You are going for it. Liesbet, cool you will participate in the pitch. And Walt Disney was an amazing man. John, all early reviews says it's a heck of a lot of fun! Of the new movies coming out, I'd say Aquaman is the one I'm looking forward to the most. So sorry to read about Penny. It's hard to lose our four-legged babies. My kids are excited about Aquaman, but I don't know... 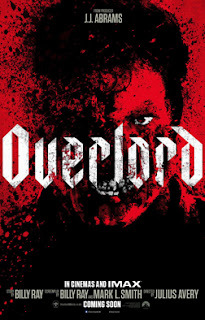 I will likely rent Overlord. It sounds interesting. Like you I read Aquaman comics religiously so that is a movie that I will be watching out for. Doing IWSG today, of course, and aiming to do a WEP post. May Penny rest in peace. I think I met her even before I met Gary. She was very well loved. Thank you for mentioning her Alex. That's a good word count from your break, Alex. Good going! And such sad news about Penny. She was a big part of the blogging community for a long time. Whoops. I'm turning into the delete queen. Welcome back and many congrats on a great word count. I'm so sorry about the loss of Penny. FYI: Both our dog and our son's dog are named Penny. Eighteen is an amazing age for a dog. Candy? Sounds like a great space! I'll take a handful of candy. :) Sounds like your November break was very productive. Congrats! Way to go, Alex: 23,000 words! I think your Starcraft Protess Pylon USB charger is way cooler than my power strip! Penny looks like a darling doggie. How sad that Gary lost Penny, but how fortunate that they shared eighteen years together. I'm so hopelessly behind on movies, I'm throwing up hands. Have a good one, my friend! Word count is looking good. Merry Christmas! Susan, it's getting great early buzz! Robyn, I couldn't not mention her. Sandra, yes it is. Most dogs only make it to twelve or so. Maria, continued prayers! Penny is probably playing with my black labs as well. Ray, you would really dig Overlord. Fundy, I need to post a photo of that charger. We're looking forward to Spider-Man: Into the Spider-Verse. Looks like I'll be seeing Overlord alone though. Previous looked great hope the movie follow suit. Congrats on the word count. Ralph Breaks The Internet sounds like a real hoot. My husband and I got to take the kids to Ralph Wrecks the Internet this past weekend. Admittedly, I started crying when the relationship turmoil flared up. It was gorgeously rendered though. Loved it. Wookt for 23K!! That's awesome! I must have a kid hidden deep inside me because of all the movies you mention in this post, the only one that attracted my attention was the Ralph anime. I like Holmes and Watson movies but I'm not a Will Ferrell fan. I miss you when you are not posting but, I am happy you are writing. I cannot wait to see Aquaman I saw the previews and it looks amazing. I did hear about Dear Penny and sent a note to her human friend. Welcome back Alex! Sorry to hear of Penny's demise. 18 years is a pretty long time. There is a great line-up for next year to look forward to though! Loni, I think my wife started crying as well. Olga, nothing wrong with that! Truedessa, I won't go that long in between posts again. I missed all of you. Hank, glad to be back! Penny is so cute and even though she lived a long and good life, it still hurts like heck so my thoughts are with them. I love what you have around your desk...I have paper, pens, pencils, cat and dog hair and pictures of my hubby and my mom. I'm glad to see you are back and hope you had a nice time off. It sounds like your concert was, overall, quite good except for that one band. Will Ferrell is so dumb and, I think, he is quite arrogant in real life but I do find most of his comedies funny...stupid but funny. I don't like Anchorman at all though. Love to see Aquaman for sure and that looks exciting. My kids and I are looking forward to Ralph Breaks the Internet. It hasn't come out here yet, but it will in the next coupe of weeks. Mortal Engines looks really good. I hope it's not disappointing in the least bit! Thank you for dropping by and commenting on my post, Alex. You're such a good friend! Hope all's well in Real Land! 23,000 words is a lot of words. Well done. I'm trying to put the finishing touches to my December WEP piece... a little spit and polish. We had a Penny once too (the 1st stray dog I brought home and begged my mom to keep, and the only one she actually let stay...after we unsuccessfully searched for her owner). She was a hound dog, a real beauty. Here to wish you a wonderful weekend! My favorite writing place is on the DR table, surrounded by my husband's clutter. Sounds bad but it makes me comfortable. I can not wait for Aquaman. OHboyOHboyOHboy, indeed. Welcome back Alex! Hot Tamales? Are they really hot? LOL! 23,000 words? Wow, I'm not a writer, but that sounds alot! 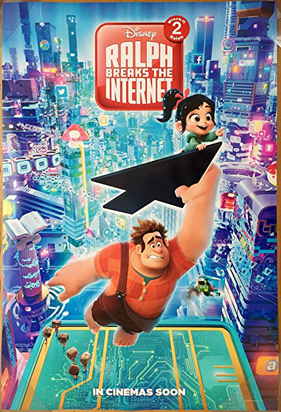 Ralph Breaks the Internet sounds really cute! Sorry about Penny! Bless her heart! Another Spider-Man? I don't know? LOL! Take Care! First of all, good sir, welcome back to your fine self. That's an awful lot of words! Thank you for another informative post. And especially, thank you so much for the mention of our beloved Penny. She was and still is, a huge part of my son's life and my life. Her loving magic works in wondrous ways. Someone said to me... the other day, 2019 isn't going to be better because it's another year.. I said then we better jump on and into today... make it as good as you can, until you can't. My crazy rambles, bottom line is... stay golden, pony boy. 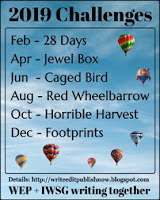 I seemed to have continued the NANO challenge. Been trying to finish edits. But it gets crazy, finally took a break to catch up with the blog. Lots of films. Watched SNL with the star of the movie. Looks like an interesting premise. Birgit, Anchorman was awful. Had one funny line and it was said by Steve Carell. Elizabeth, just glad you are back with us! Rosey, and it even looks like her. Crow, they are a bit spicy hot. Think red hots. Gary, I couldn't not mention Penny. She was special to all. Well said, Jeremy. And who wants to go into 2019 with that attitude? Well done with your wordcount. What are Hot Tamales? I've always wondered, and I assumed they were some sort of chilli. But you class them as candy so now I'm confused! Sorry about Penny. So sad. Lots of hugs to you all. Congrats on the word count! Wow! Great work! I'm sad to hear about Penny. It's so hard when a beloved dog passes away. Aquaman is going to rake in the money. I love your tribute to Penny. She was an international star for sure and very loved. Sad to read about Penny. I'm glad you posted about it though. That was good of you. She really was an Internet star. Sad to hear about Penny. Off to give Haken a listen! Consolation to Gary and his son over Penny. Have yet to see the Wreck It Ralph sequel but my sons are dying to see it. Looking forward to watching Aquaman and Spiderverse. Hi Alex! Congrats on getting so many words written for your new story. I'm glad to hear the Wreck It Ralph is worth a watch, even if it's not as good as the first. Sorry to say that the only film listed here that I've seen is Holmes and Watson. I expected it to be horrible, and I would say it slightly exceeded expectations.